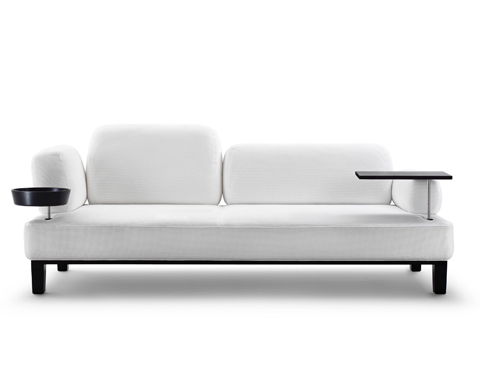 Floyd is an unconventional family of sofas characterised by their separate, differently-sized and movable back and side elements that grant them a wonderful versatility. 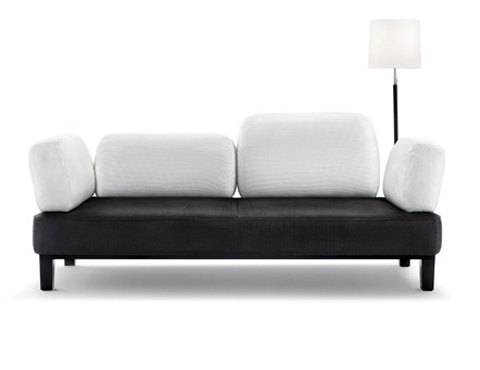 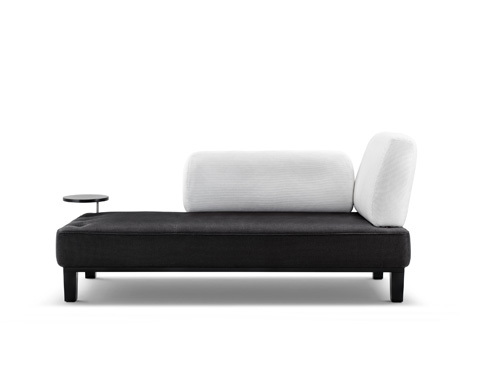 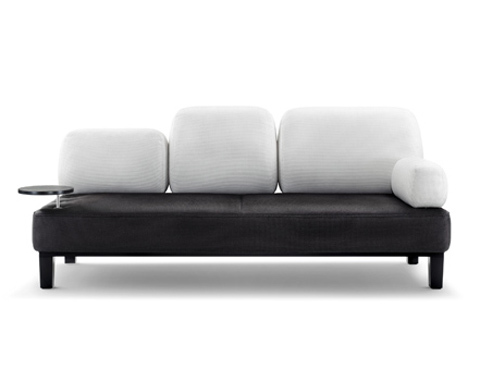 With a minimum of effort, for example, a sofa can be turned into a chaise longue by simply rearranging its elements. 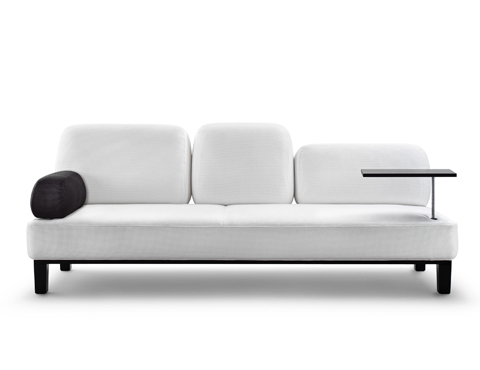 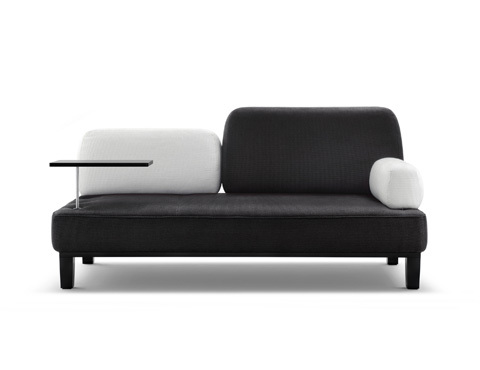 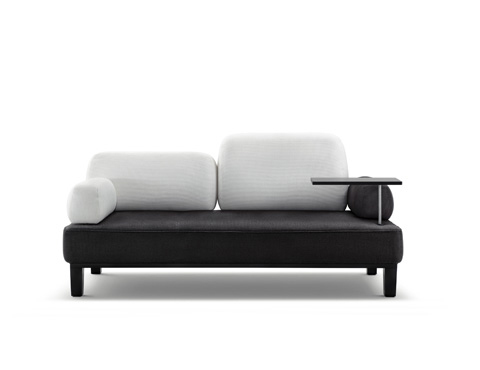 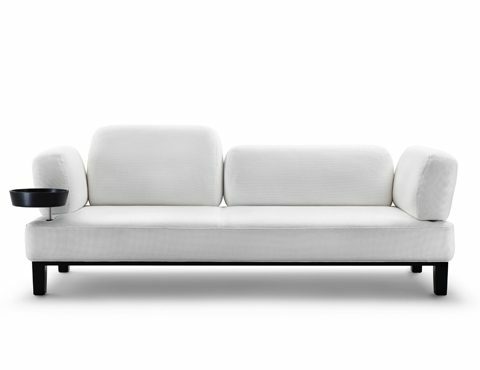 Floyd comes with accessories – including a laptop table, a deep, round tray, and an elegant lamp with a stem covered in fine leather – that can be plugged into the sofa in a number of different places.